Recently, most marijuana strains and edibles are engineered to retain high levels of potency. Strains that have extremely high THC content can knock even seasoned cannabis users down. Unpleasant THC encounters can be very debilitating. The situation may occur due to overuse or low THC tolerance. Having its main ingredient as CBD, CannaRelief offers the best and simplest way to tackle the side effects of a strong THC trip. 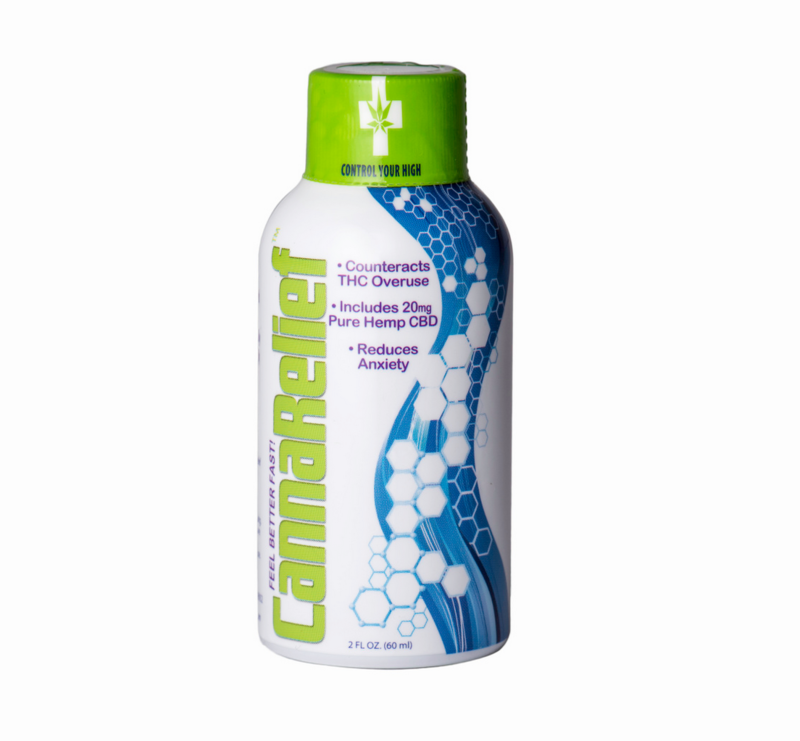 CannaRelief helps to control and manage THC anxiety so that tokers can get maximum benefits. Often times, the overuse of THC can cause anxiety and paranoia. A shot of CannaRelief will tone down or stop the trip when THC is consumed excessively. The psychoactive high may persist, but the undesirable feeling of waiting for the psychoactivity to end will go away within 10 to 30 minutes. This supplement is strongly recommended for beginners and tokers with low THC tolerance.